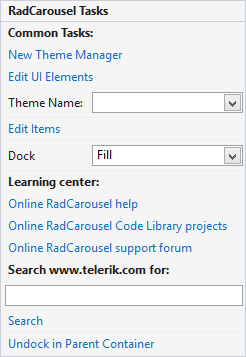 The Smart Tag of RadCarousel lets you quickly access common tasks involved with managing items, customizing appearance or setting the theme. You can add as many items as you want. Use the Up and Down buttons next to the items list to change the items order. 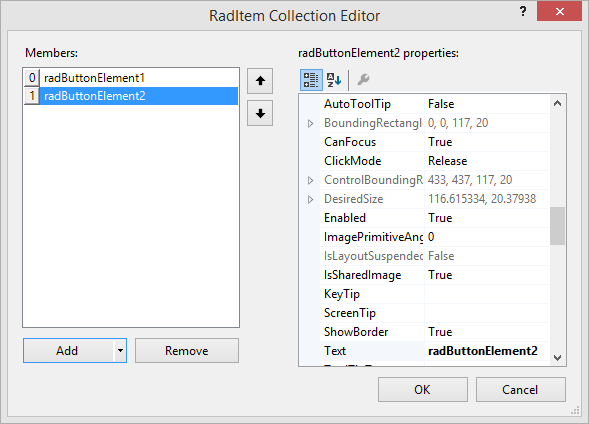 Use the properties editor to set item-specific properties such as ToolTip, caption (Text property), etc.